Learn from the best. Experience college life. Take field trips. Try something new. Get your hands dirty. 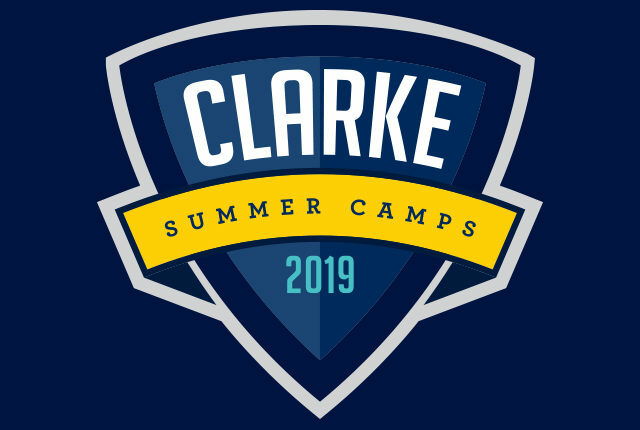 Clarke University is proud to host summer academies and camps for middle school and high school aged students. Our academies and camps are hosted on the campus of Clarke University and are directed by Clarke University faculty, staff, alumni and skilled professionals in the computer science, food, nursing, and music industries. Design, build, test, and play video games using Unity and Scratch. Immerse yourself in 3D using Oculus Rift and Touch. The academy will be directed by Clarke University faculty. The presentation of projects will be at 3 p.m. on Friday, June 21. Family members are welcome to attend. Presentations begin around 2:30 p.m. If interested in being on the wait list for Culinary Boot Camp, please email or call Lee Anna at leanna.reuter@clarke.edu and (563)588-6566. This camp will teach the basics of food, flavor, cooking, and the value of learning how to “play with your food”. 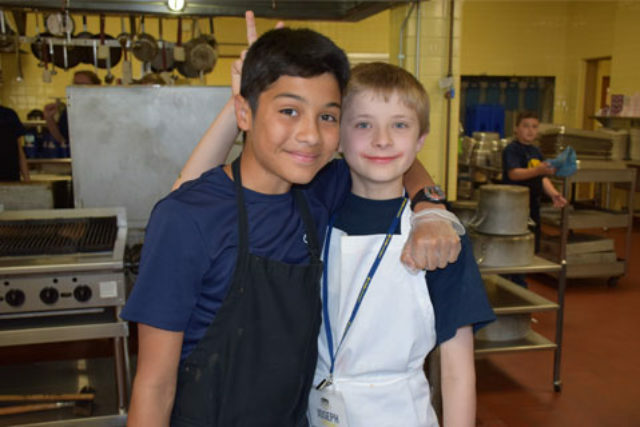 Students bake bread, make homemade ice cream and even prepare a meal to serve to their parents and guests at the conclusion of the camp on June 21. The Culinary Boot Camp will be directed by Clarke University faculty and staff. For previous Culinary Boot Camp attendees: the skills, menus, and foods will be different! Morning drop-off: Any time between 7:30 – 8:15 a.m. Interested in the DSO Orchestra String Camp? For more information please contact Madalyn Mackey, DSO Education Programs Manager. Age: For students entering grades 7-12 (or students with a minimum of 2 years ensemble experience) who play violin, viola, cello, or bass. Maestro Diego Piedra returns to lead students through another year of our popular String Camp! An exceptional opportunity for young string players to work with other motivated musicians from across the Midwest, students spend the week learning new techniques, studying exciting repertoire, and meeting new friends. Our distinguished faculty work closely with students, helping them to build confidence in and sharpen their skills through large group rehearsals, small sectionals, private lessons, and more. Resident campers will stay in the Clarke University residence halls, eat their meals in the university’s dining hall, and enjoy a wide range of evening activities. The camp will culminate in a performance for over 2,000 people at the DSO’s Summer Melodies concert at the Dubuque Arboretum. Interested in the DSO Chamber Music Camp? Age: For students entering grades 10-12 (advanced 9th graders and graduated seniors welcome) who play violin, viola, cello, or bass. Unique, intense, and captivating, the Chamber Music Camp is perfect for advanced string players wanting to take their skills to the next level. Students are grouped into ensembles according to their age and ability, and spend the week exploring new repertoire and the diverse world of small ensemble playing. Ensembles work closely with our fantastic camp faculty, receiving one-on-one lessons, coachings, masterclasses, and even side-by-side performances! Resident campers will stay in the Clarke University residence halls, eat their meals in the university’s dining hall, and enjoy a wide range of evening activities. The camp will culminate in a public recital performance at Clarke University’s beautiful Jansen Music Hall. If you like to help others, you should consider a career in the exciting world of nursing! Participants will be exposed to various nursing specialties and learn how a nurse provides basic everyday skills through an introduction to first aid skills, and a hands-on experience with a high-fidelity simulator. The academy will culminate with a tour of a local health care facility. The academy will be directed by Clarke University faculty. Academy charge includes meals, field trip-related expenses, and t-shirt. For any questions or concerns relating to Clarke’s Summer Camps and Academies, contact the Conference & Events Coordinator. Check out photos from last year’s Nursing Cadets, Computer Science and Culinary Boot Camp Academies!